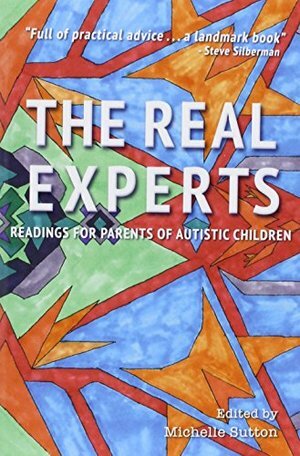 “Full of practical advice and transcendent ‘Aha!’ moments, The Real Experts offers young autistic people and their families the kind of wise mentorship from tribal elders that was unavailable in previous generations. It’s a landmark book.” – Steve Silberman, NeuroTribes: The Legacy of Autism and the Future of Neurodiversity How do I help my child to thrive? To be healthy and happy, to fulfill his or her positive potentials, and to grow up to lead a good life? Every parent of an autistic child struggles daily with this question. Just trying to understand an autistic child’s actions, feelings, and needs can seem like an overwhelming challenge. It doesn’t help that professional “experts” and the mass media bombard us with all sorts of harmful and terrifying misinformation about autism. Fortunately, more and more parents are discovering an essential source of insight into autism: the writings of autistic adults. Who better to help us understand autistic children and their needs, than the people who have actually been autistic children? Listening to the insights and experiences shared by autistic bloggers has helped Michelle Sutton to help her two autistic children to thrive. In The Real Experts , Michelle has collected writings from a dozen autistic authors, containing “insider” wisdom on autism that has been invaluable to her family. The result is an extraordinary resource for families with autistic children, and also for educators, therapists, and other professionals. “This book is a gift to parents who want to get the real scoop from the real experts on autism — autistic people themselves. Michelle Sutton has gathered excellent ﬁrst-person accounts of what it’s like to grow up, live, and thrive as an autistic person. More than anything, autistic people and their families need to see and hear autistic role models who can help them understand, support, and celebrate their unique autistic loved ones. The Real Experts is a wonderful contribution to the autism community, and to us all.” – Karla McLaren, M.Ed., The Art of Empathy and The Language of Emotions “Wow. What a breath of fresh air. I read this book with unfolding delight… Finally, people on the spectrum are being heard, and it is a phenomenon that gathers momentum as parents and others realize they can learn from what is being said.” – Dawn Prince-Hughes, Songs of the Gorilla Nation: My Journey Through Autism The Real Experts features essays by Nick Walker, Ally Grace, Emily Paige Ballou, Alyssa Hillary, Cynthia Kim, Kassiane Sibley, Sparrow Rose Jones, Michael Scott Monje Jr., Elizabeth J. Grace, Briannon Lee, Morénike Giwa Onaiwu, and Amy Sequenzia, with a introductions by Michelle Sutton.